In the Koishiwara region (Toho Village) of Fukuoka Prefecture, a culture existed since ancient times in which local farmers fired everyday items such as jars and pots in kilns. In 1682, ceramic culture was introduced to this area when the lord of Fukuoka Domain invited some Imari ceramicists to come and teach their techniques, thus completing the foundations for today's Koishiwara ware. 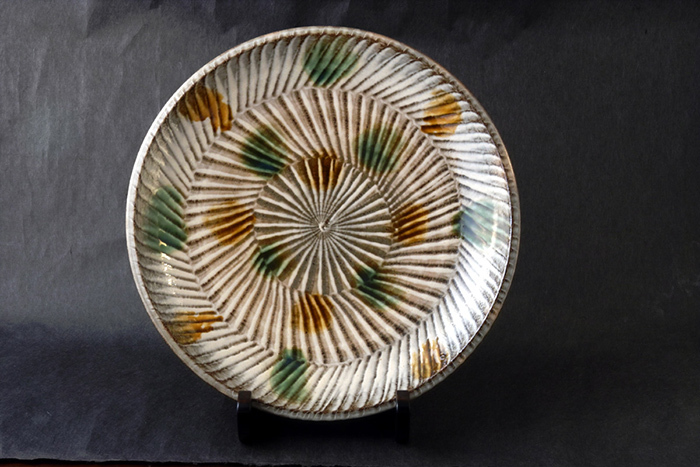 In 1931, members of a folk art movement reappraised the value of Koishiwara ware, resulting in wider recognition of this local ceramic art form throughout Japan. During the folk art and ceramics boom of the mid-20th century, Koishiwara ware became a much-loved example of Fukuoka Prefecture's traditional crafts. Today, Koishiwara ware continues to please with its simple and sturdy style that has not lost its rustic charm. 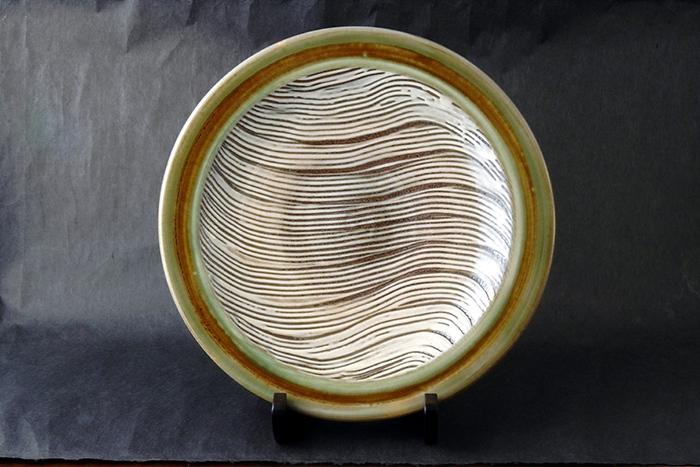 Koishiwara ware is created using a technique in which a glaze is applied directly to the surface of unfired clay and then fired, bringing out the inherent feel of pottery and a rustic and warm quality. 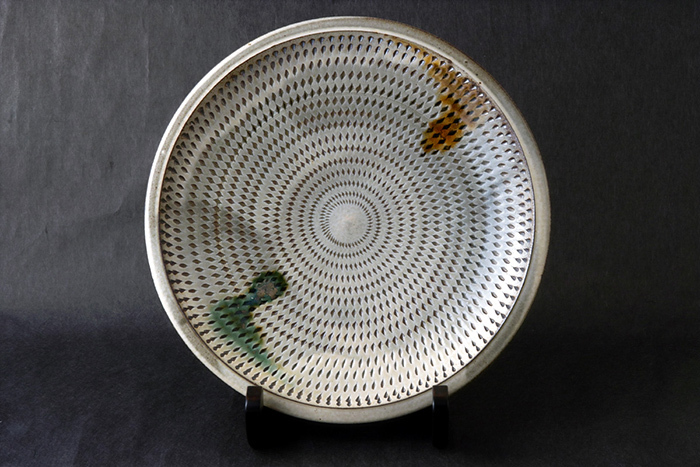 A number of distinctive techniques and patterns are used to decorate Koishiwara ware, including tobikanna (chatter marking), hakeme (brush marking), kushime (comb patterns), nagashikake (glaze pouring at regular intervals) and uchikake (splash patterns). The decorative techniques employed for Koishiwara ware all have their origins in daily life. One such example is a traditional technique for rendering smooth curved lines directly onto vessels with one's fingers using engobe. Tools such as tonbo, used to gauge the size of the vessel, along with combs, brushes, planes and iron scraps are all made by the potters through trial and error. These techniques and tools derive from simple wisdom for daily life. 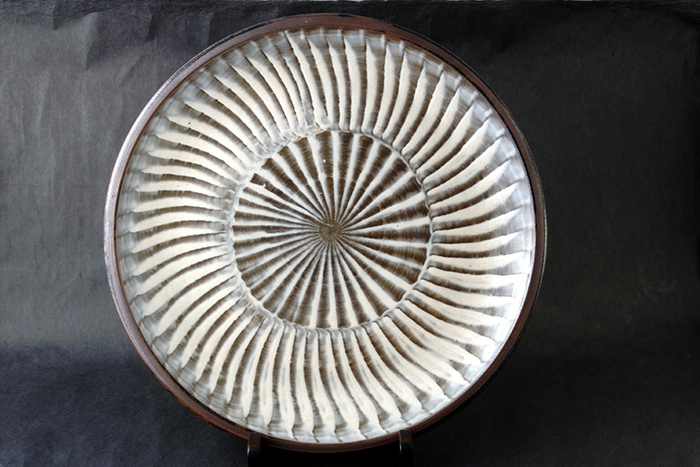 The concept of "the beauty of functionality" continues to form a key aspect of this potters' craft, which is based on the notion that the beauty of their creations is underpinned not by special techniques and tools, but by people's mindset to cherish handmade creations and use them every day.